Values of self-determination, creativity and contribution underpin Warrah’s approach to supporting people with disability. At Dural the site is multi purpose, a farm and shop, a school, accommodation and care. The buildings have evolved organically so BJA is now advising Warrah for the future development of the site. 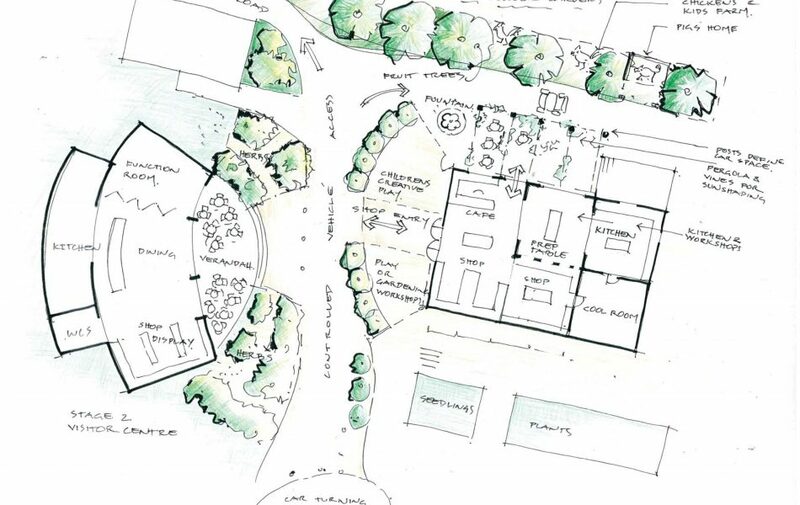 This Masterplan allows Warrah to provide more opportunities for creativity in the Farm Shop with Workshop Kitchens . The visitor centre and function room would allow Warrah to showcase the work they do and the produce from the farm.